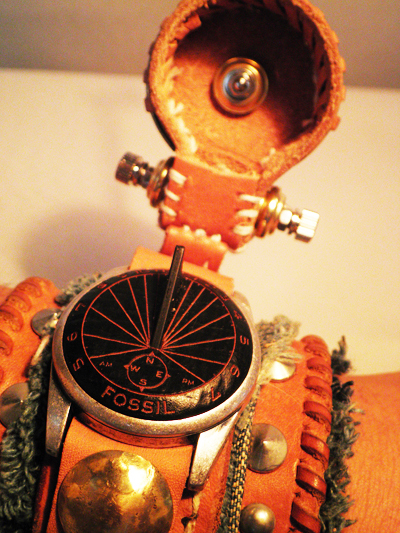 I've used the sundial of FOSSIL as the material for my art work. 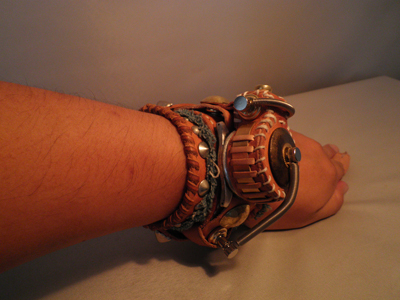 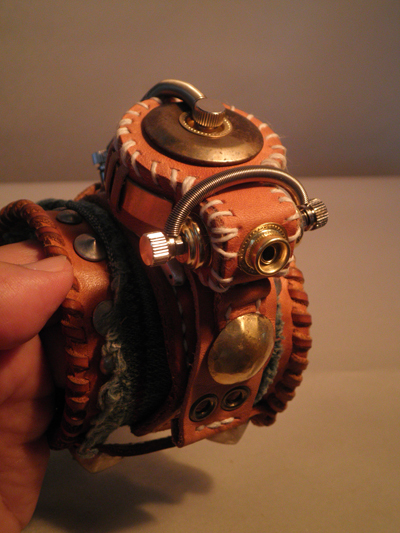 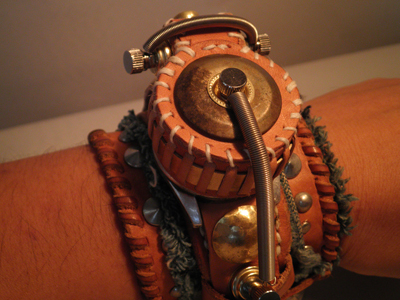 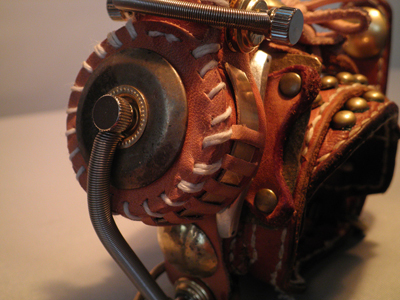 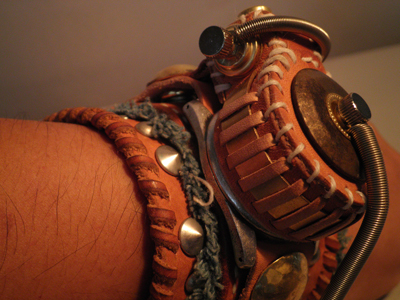 Combination of the wide watch-wristband, and denim fabric. 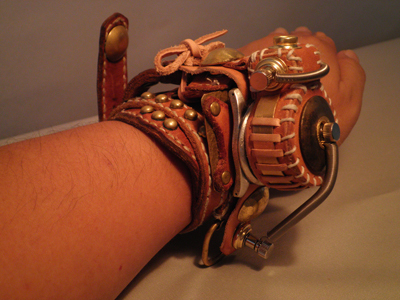 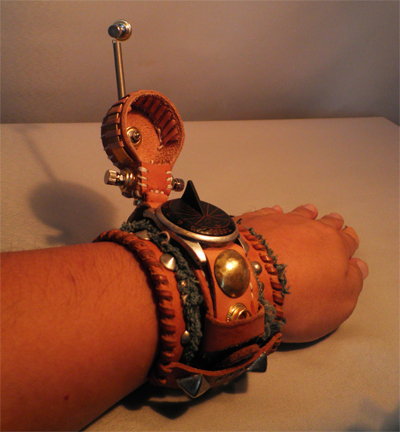 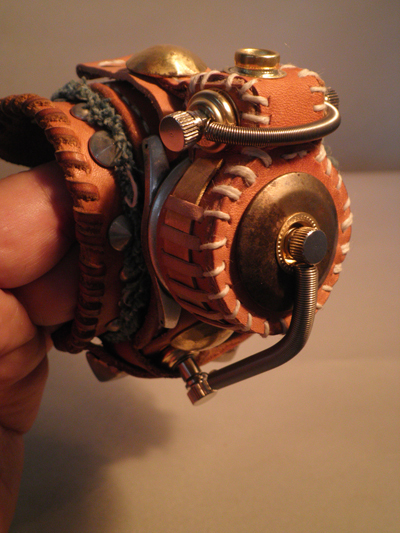 The exchangeable watch-wristband for the sundial. 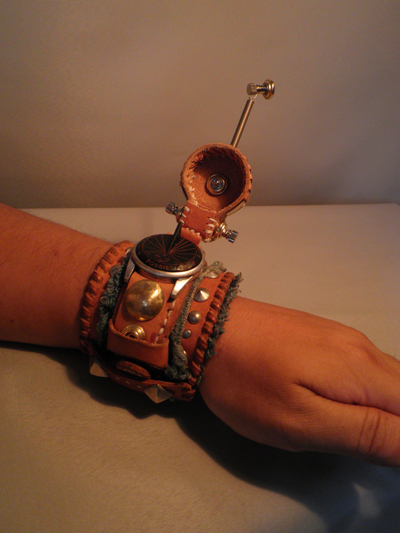 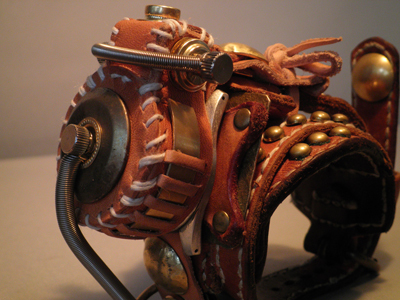 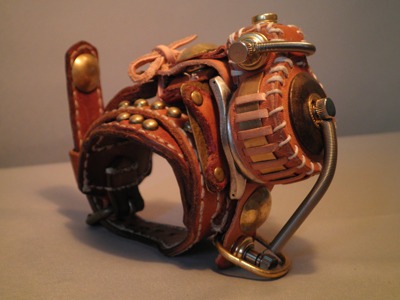 Title: Mac Nakata ART Watch, "Sundial"